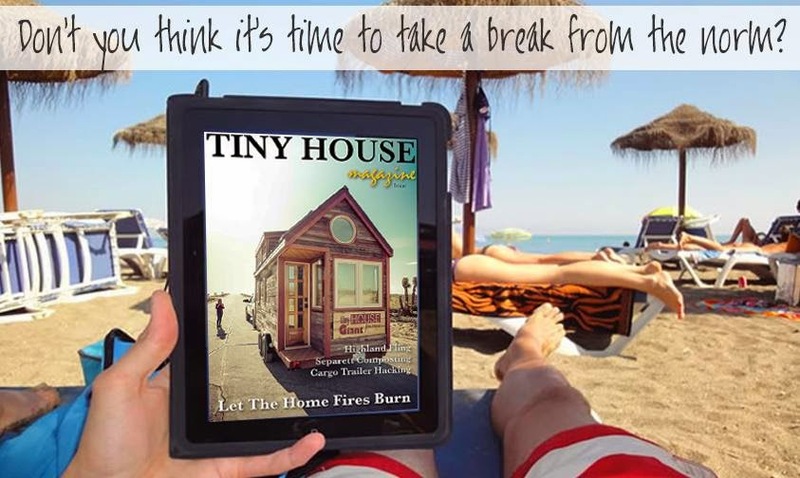 Issue 17 of Tiny House Magazine is now available on virtual news stands. You can download it as a PDF or for the iPad. This issue features my recap of the first ever Tiny House Conference which was held in Charlotte, NC, in April. "When I moved into my own tiny home I had no idea how important community would become to me. Before the tiny house I felt entirely disconnected from my own life. It was spend commuting, sitting at a desk, and watching television at various predetermined points on the clock. The tiny house and the drastic shift in consciousness is what allowed for me to change everything. I began to participate in my own local community in a city that I love. I forged virtual relationships with other tiny house builders, bloggers, and enthusiasts. Slowly, one by one, I would meet them in real life. We formed bonds over shared experiences that can't really be understood by just anyone." "And suddenly our community was all in one place. We were real people bonding over pizza and beer. We were more than tiny home builders or those weird people who live in shoe boxes. We didn't have to talk about how we built the kitchen cabinets or what it is like to use a composting toilet. That's not to say we didn't, but we weren't on display and it felt good." Buy the issue to read the entire article!